Rexall Pharma Plus Drugstore Canada Flyer has good offers available now! The Rexall Pharma Plus Drugstore Canada Deals includes: Get 114 Bonus Air Miles when you spend 57 or more on almost everything in store. 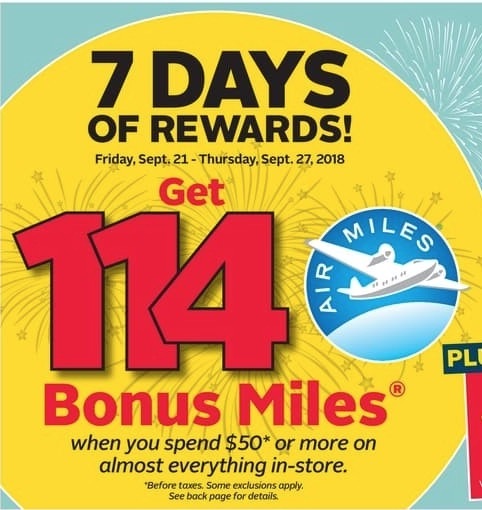 The Bonus Miles offer is valid for 7 days only from today, Friday, September 21, 2018, until Thursday, September 27, 2018. Rexall Pharma Plus Drugstore Canada Flyers has great deals valid for 3 days only from today, September 21, 2018, until September 23, 2018. 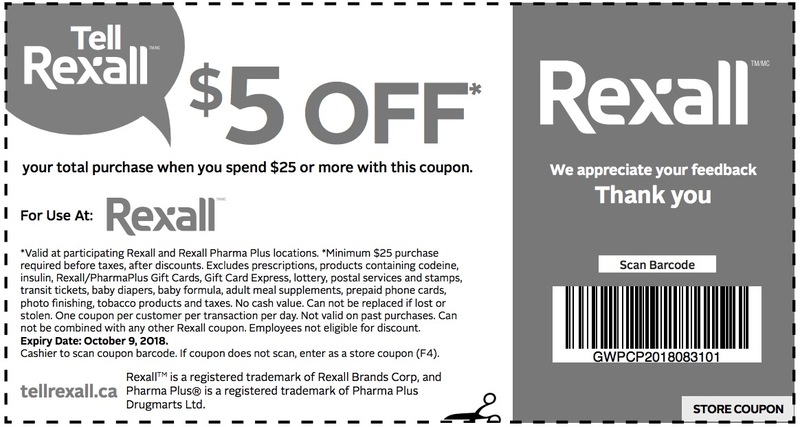 Save $5 off your total purchase when you spend $25 or more using this coupon. This coupon is valid now until October 9, 2018. You can print your coupon or you can show it on your smartphone. Harry Potter fans, prepare to extend your Hogwarts-themed collections to a whole new level. Harry Potter fandom has successfully dominated nearly every branch of our pop culture sphere, covering everything from wizard-themed apparel shops to podcasts that analyze the original books through scholarly debate. 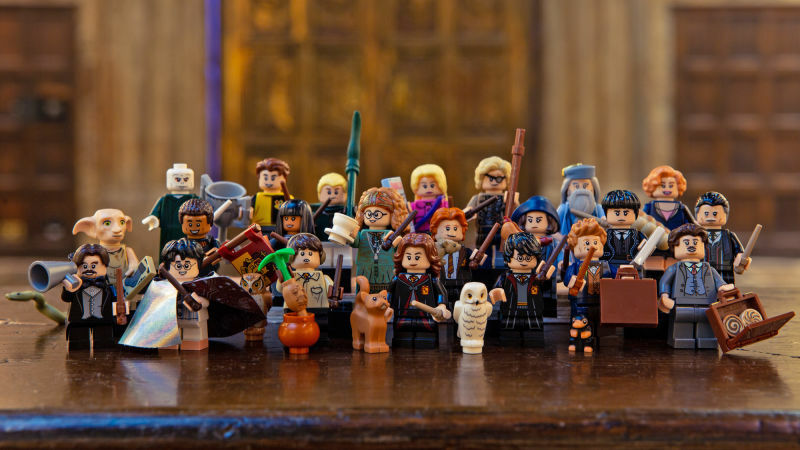 But if you’ve been waiting for the next big thing that will up your Potter-lore game at the next Harry Potter themed trivia night, then this release of 22 new wizarding world mini figures from Lego Canada will be just up your alley. Starting on August 1, you will be able to buy Harry Potter blind-bags, each of which will cost $4 and will contain an individual figurine from the world of J.K. Rowling. The only ‘catch’ is that you won’t be able to see what’s inside the bag, which means you’ll need to rely on your non-magical skills of feeling out what’s inside the bag. 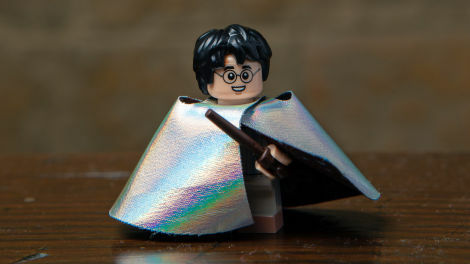 Fans of the original series will be disheartened to learn that iconic characters and villains from the series have not been included, in at least this iteration, of Lego’s Harry Potter blind-bags. Namely, Snape and Bellatrix have been left out, as well as the Dudleys, who were, in my opinion, one of my favourite most-hated Potter characters. 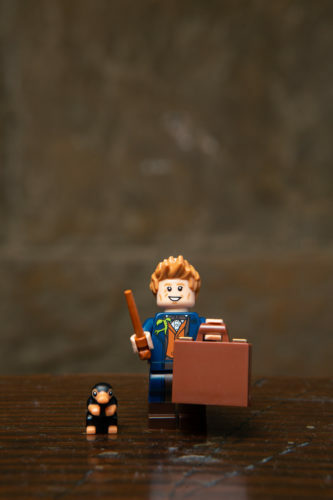 Click here to learn more about the Lego Harry Potter blind bag series. Eating out as a family can be expensive. Coming from a big family (seven total), we knew that eating out was only for special occasions (read: your birthday or someone’s graduation). But if you are looking to take the family out without breaking the week’s budget, you should definitely take note of these restaurants around Canada that offer free meals (or close to free) for kids. Since every kid loves pizza, and Pizza Pizza loves the saucy pie so much they decided to name their establishment with the word in it twice, we’ll start the list with what will most likely be the most exciting. When you join the Kids Club, you can take your kid out for their birthday and receive a free meal (for the birthday person, of course). You will have to sign up for this offer first before claiming it though. Hey bada boom bada bing! This offer from East Side Marios will have your kids eating for close to free on every Tuesday ($2 meals) and when you enrol your kid in the VIP Mini Marios Club, you will automatically receive 5 FREE Kids Eat Big meals and 5 FREE Chillers in the mail. This should take between 6-8 weeks after registration to come in the mail. This is a small one, but free nonetheless. When you stop by the Ikea cafeteria and pick up any adult meal, you can also grab free baby food for your smallest ones. Who doesn’t love breakfast for dinner? In my family, it became such a staple that we began calling it ‘brinner’ or ‘brupper’ (I personally prefer the former over the latter). 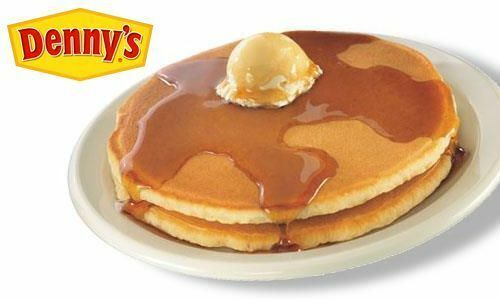 Kids (ages 10 and under) can get their ‘brinner’ fix at Denny’s on every Tuesday from 4pm-10pm. There is a limit of two free meals per visit. Once a week, you can head into your local Swiss Chalet and grab your kids meal on the house. This offer varies by location, as the day is not the same across the country. You can find your local Swiss Chalet here. 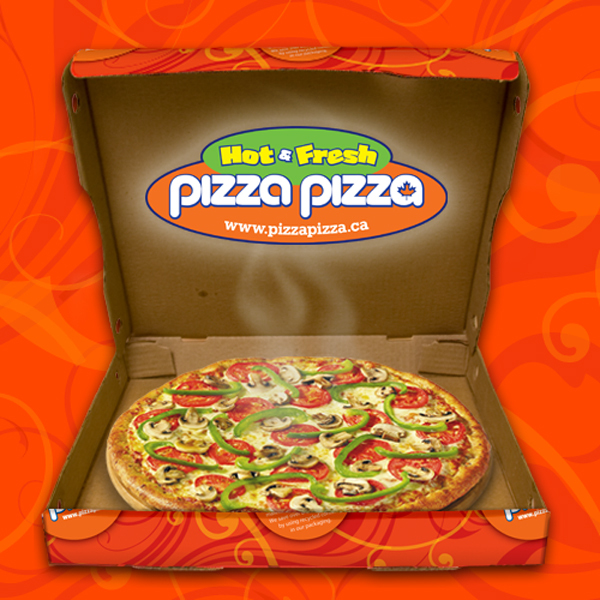 Similar to Swiss Chalet, Pizza Hut offers your kids a free meal once a week (on Tuesdays), but this offer varies by location. Be sure to check with the server before purchasing! Meat eaters, rejoice! Montana’s offers your small ones the chance to grab a free meal on Tuesday, and also gives kids who are 12 years of age and younger a free meal on their birthday. This offer, unlike most, is actually offered on a ‘going out night’ (Friday) instead of the much less exciting day of Tuesday. When you go out to dinner at Humpty’s, kids who are 10 and under can eat for free, but only between 5pm – 9pm. Another change up in the day of the week that free meals are offered. If you head into Crabby Joe’s after a long weekend, on Sunday, you can have your kids eating for free with no restrictions on the time when you eat! This is one of those ‘close to free’ offers we mentioned at the beginning of the post, but it’s still a rather sweet deal so we decided to include it anyway. On Tuesdays at Jungle Jim’s, your kids will pay for their meal based on their height. This means that if your kid is just clearing a metre (100 centimetres), then they’ll only have to pay a dollar! Another great Sunday offer to make your weekends that much less stressful (and costly). When you bring your kids in on Sunday, they can get free meals for every adult entree that’s purchased. This offer from Lone Star Texas Grill requires that you sign-up ahead of time, but when you do join the Bronco Billy Birthday Club you can grab your child (12 or younger) a free meal on their birthday. 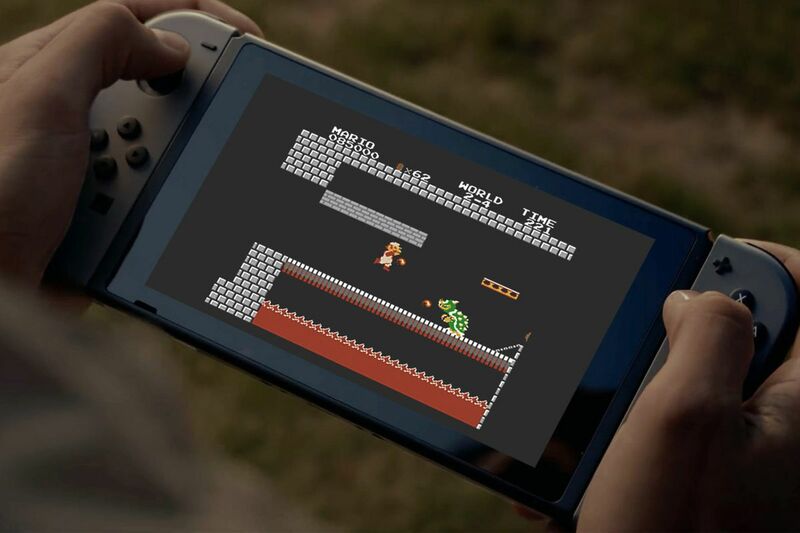 Nintendo Switch has finally released some more details about the launch of the much talked about online subscription platform, which will be coming to Canada in September 2018. Nintendo has said they will release the titles of the other ten games in the months leading up to the launch this September and that they will regularly update the selection in the library with more free games. On top of all this, the new subscription service will also come with a feature called Save Data Cloud, which is a backup function that will be able to take saved files and share them between consoles. This means that your files will also be automatically backed up into the cloud, which I imagine is a great relief to those of us who tend to forget to save as we go along in a game. Click here to learn more about the subscription service for Nintendo Switch Canada. This past Saturday marked the opening of one of Ontario’s largest tourism draws: Canada’s Wonderland. 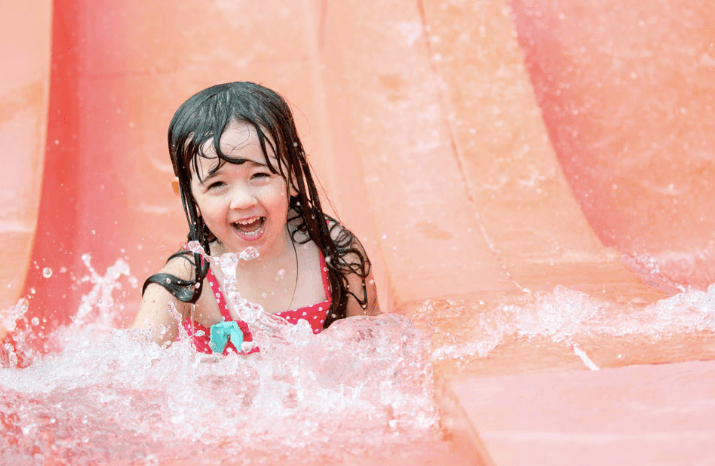 Canada’s premier amusement park opened their 2018 season with great fanfare, as with this year’s opening there are two new rides being introduced to the park’s already explosively entertaining lineup. The Lumberjack, as the ride’s name implies, is designed to mock the swinging axes of a tree faller. 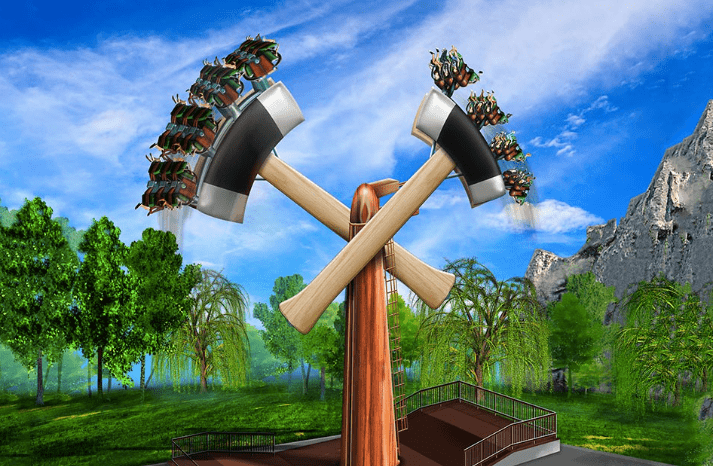 It’s one that’s definitely for the thrill-seeker, as it will have two axes swinging on a pendulum that will swing riders on a full 36o degree loop. This ride, the Flying Canoes, is a more tame option than the previously mentioned ride. 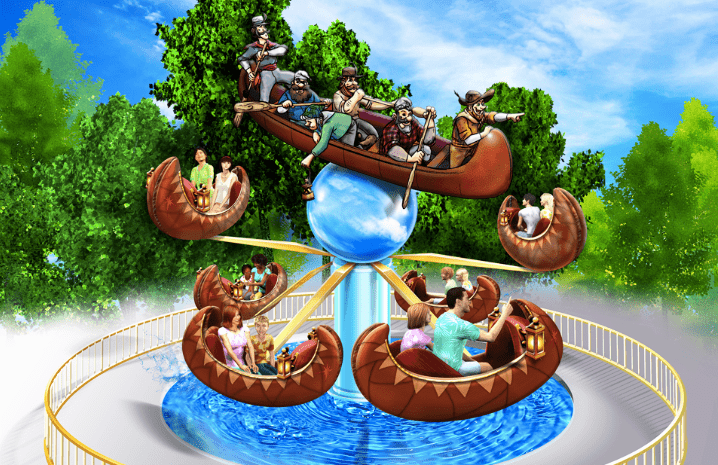 It’s designed to be a family-friendly ride that can seat two to a boat and will give riders the chance to control the trajectory of their ride as there are interactive controls that you can direct. There are also new food and drink offerings at Canada’s Wonderland this year. To drink, why not try out some of the new craft beer selections, available thanks to a partnering with the Great Lakes Brewery. You can test out the new Leviathan Lager and Behemoth Blonde Ale at the new Minebuster Bar (in the Action Zone) and Medieval Refreshments (located in Medieval Faire). To eat, you could try out the new poutine offering that won an internal competition among various dining locations at Canada’s Wonderland. 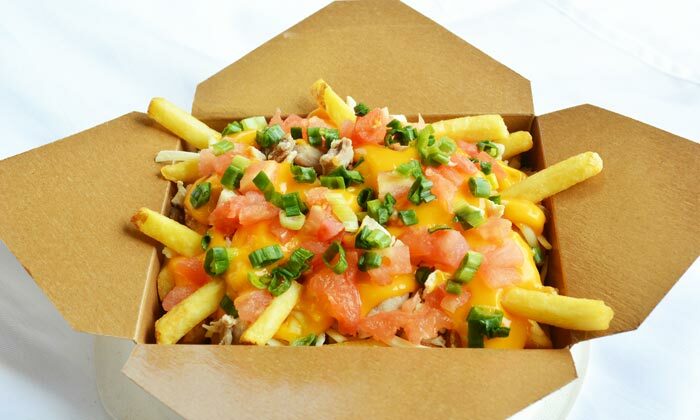 This signature dish, aptly named “The Kicker”, has the typical base of fries but is then topped with chicken, BBQ sauce, Chipotle Baja sauce, Frank’s Red Hot Sauce, diced tomatoes, green onions, and nacho cheese sauce. But then to substitute the traditional cheese curds, they’ve put in mozzarella shredded cheese. You can pick up the Kicker, plus the new butter chicken poutine and pea meal bacon poutine at the new poutinerie locations at Canada’s Wonderland, which are the Apres Poutinerie and Action Zone Poutinerie, which is replacing the Bistro 81 food truck. Learn more about the new offerings from Canada’s Wonderland here. 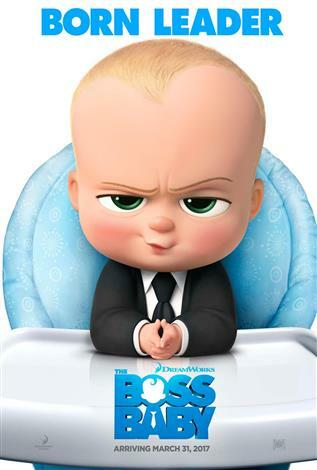 On June 15th, we’ll be blessed with another instalment from the much loved Pixar Animation Studios of the Incredibles. 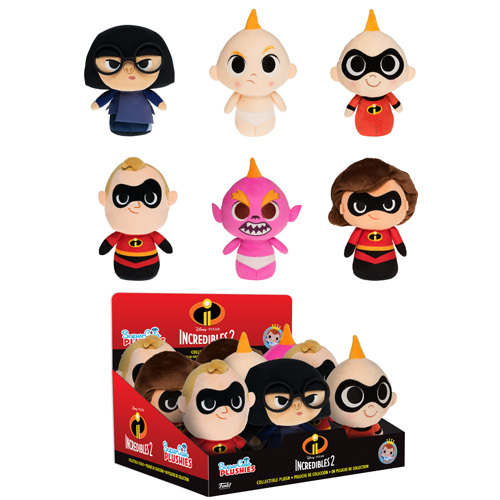 The Incredibles 2 will feature all of the original cast, including the quirky but lovable Edna Mode, and to celebrate the much awaited sequel, Funko Toys is releasing a new lineup of toys. 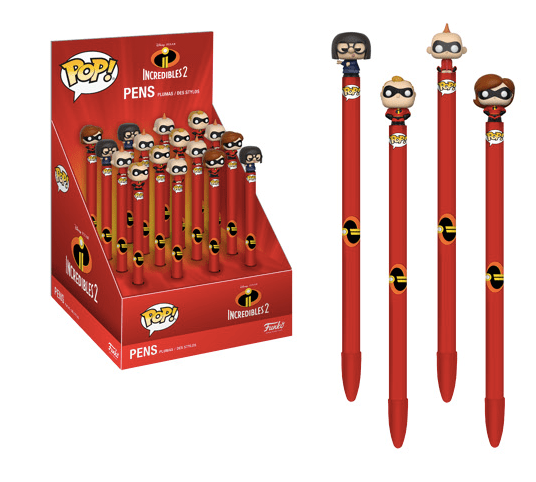 The toys from Funko will include pens, plush toys, keychains, minis and bobbleheads. Click here to learn more about the new offerings from Funko Toys. Having just come back from Costco Canada yesterday to get my bi-weekly haul of bulk goodies, I can assure you that these shopping tips are ones that I defer to frequently before I pack the car up to go to my local Costco. Everyone knows that buying in bulk can (most of the time) save you money rather than shopping at your more conveniently located grocery store, but there are some hacks for shopping at Costco that will ensure that you are saving the maximum amount of money. 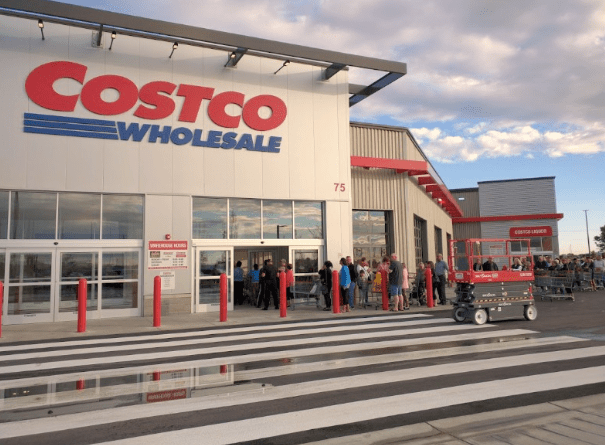 Costco offers different types of memberships for different types of shoppers, and for some people, it may not even make fiscal sense to invest in a membership if you only find yourself frequenting every couple of months. If you are this kind of shopper, then I’d advise getting one of your friends to grab you a Costco cash card. If you’re a more frequent Costco shopper, then you’ll have the option to buy an executive, a business or gold star membership. If you’re shopping for a big family, or you and your roommates have gone split on a Costco membership and use it to stock the house, then it might make sense to invest the $120/year for the executive membership. This will give you 2% back up to a maximum of $1,000/year, which means if you spend at least $6,000/year that you’d be making the cost of your membership back. Otherwise, you should stick with the gold star membership, which is just $60/year. Also, all of these cards will include a FREE spouse card. If you join the vehicle program at Costco, then you can save hundreds of dollars off on brand name products for some of the best-selling vehicles in Canada. Do you have any tips for saving extra money during your shopping trips at Costco Canada? Click here to view Costco Canada’s latest flyers. The new rewards program, which comes amidst a climate of various Canadian retailers updating and expanding their rewards programs (e.g. 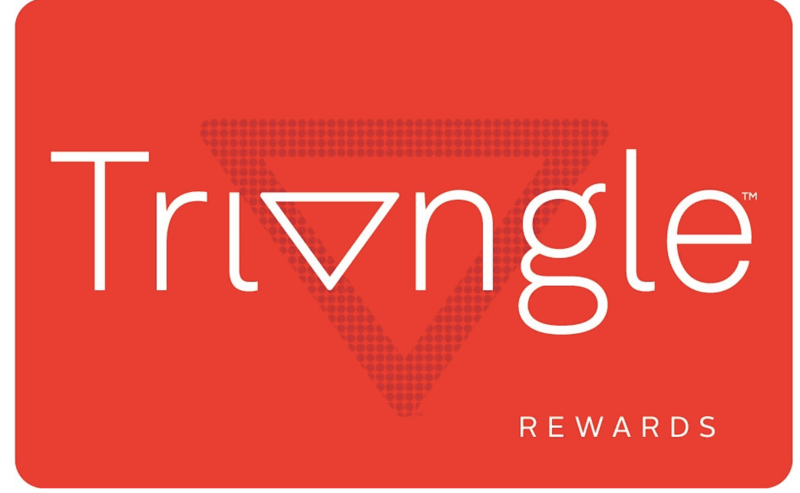 Loblaws’ and Shoppers rewards program, Air Canada’s evolving rewards program), will come into effect this spring and will be renamed the Triangle Rewards program. In addition to the new retailers that the rewards program will include, Canadian Tire is also offering two new MasterCards as part of the updated program. The Canadian Tire program was last updated in 1958, and the company’s chief marketing officer Susan O’Brien was quoted in an article written in the Globe and Mail that the change was a welcome one. “We’ve got wonderful competition out there that’s making us think through new ways to connect our customers better and give them back the value that they want,” said O’Brien. Torontonians were reported to have been lining up for 10 hours on Easter Sunday just to get a taste of the chicken from Jollibee, a fast-food chain that has long been touted as the ‘McDonald’s of the Philippines’. 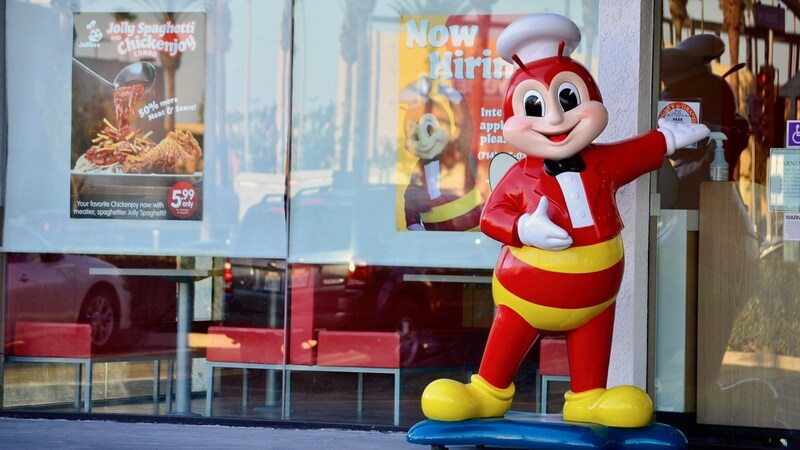 On both sides of the Pacific, Jollibee has long been a staple of Filipinos living inside and outside of their home country, serving up traditional American dishes, such as burgers, fries, chicken and spaghetti, with a uniquely Asian spin. The chicken and gravy, which you can order at the location at a two-piece Chickenjoy, is arguably the most popular dish on the menu. A pro tip for maximum enjoyment from a seasoned Jollibee customer: ask for extra gravy sauce. You’ll need it for both dipping the chicken in, and then to pour over your rice. The iconic Jollibee red and white mascot was first seen on the front step of the chain’s premiere restaurant in the Philippines in 1975. Since then, it has grown to become the small Southeast Asian country’s largest fast-food chain and this Scarborough location will become Canada’s third location, as there are already two operating in Winnipeg. The chain is hoping to expand their Canadian fleet to include a location in downtown Edmonton and another two stores in Ontario, one in Mississauga and one in downtown Toronto. If you do reside in the GTA, then you can make a trip to Scarborough Plaza to check out the Filipino fast-food offerings from Jollibee. Click here to learn more about Jollibee Canada. 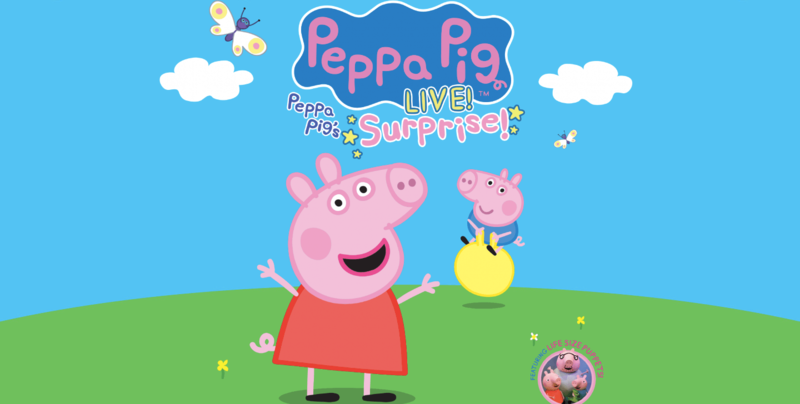 Do you have a self-professed Peppa Pig fan at home? If so, then you’ll be keen to hear that the adorable pig will be heading out on tour in Canada starting this April 2018. The show is going to feature life size puppets, and will include all of the favourite characters that your child has come to love watching on the television, but this time they’ll be played out as anthropomorphized puppets! Another possible option, should it be available in your city, is to pick up tickets on Groupon, where tickets have already been discounted (for the Hamilton show on May 1st) to be just $35 (reg. $53.40). 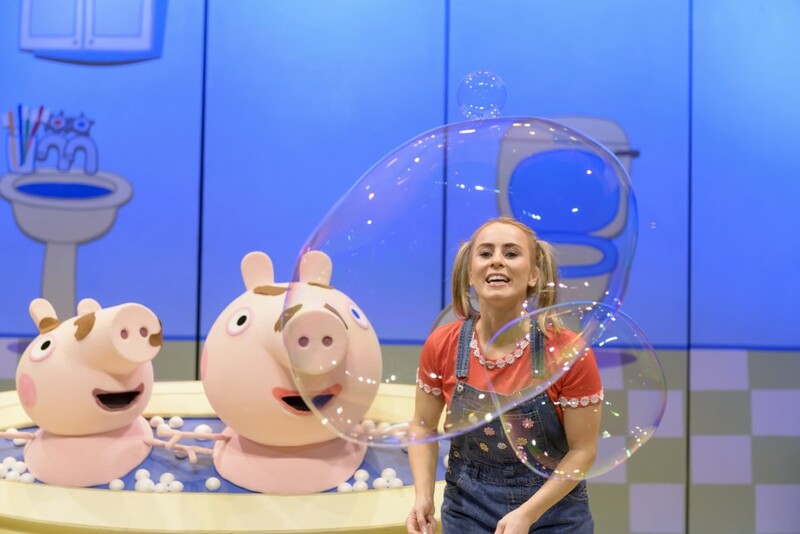 Click here to learn more about the specific dates that Peppa Pig will be making a stop in your town. Things are looking up for the Canadian traveler as flight prices between Europe and Canada are expected to get much lower with the introduction of Norwegian Air, a budget European airline, into the Canadian market. The Canadian Transportation Agency has given an initial permit to the Norwegian airline service, who are anticipated to start selling tickets ahead of their official summertime launch. Before things can become official, however, the airline service must first receive approval from Transport Canada. The fact that they’ve already been given permission to start selling tickets ahead of their launch though indicates that things will be going forward without a hitch. “The agency is satisfied that there is a high probability that the licence will issue prior to the intended startup date on July 23, 2018,” the CTA said in a statement, according to CBC. Norwegian Air has yet to confirm what routes they’ll be flying to in Canada, nor given an indication of what their prices will be, but one can guess that they will be competitive with the other budget airlines who have been contending for the attention of the Canadian traveler. For instance, in 2015, Wow Air (an Icelandic carrier) set up a route between Canada and Europe that cost less than $100. Later, they added a flight between Canada and continental Europe that cost just $149! In a similar move, the Latvian carrier Primera Air announced last year that they would begin flying between Toronto and continental Europe for as little as $199. These flights are going to be taking off from Pearson starting next month and will be running three times a week between England and Toronto and four times between France and Toronto. 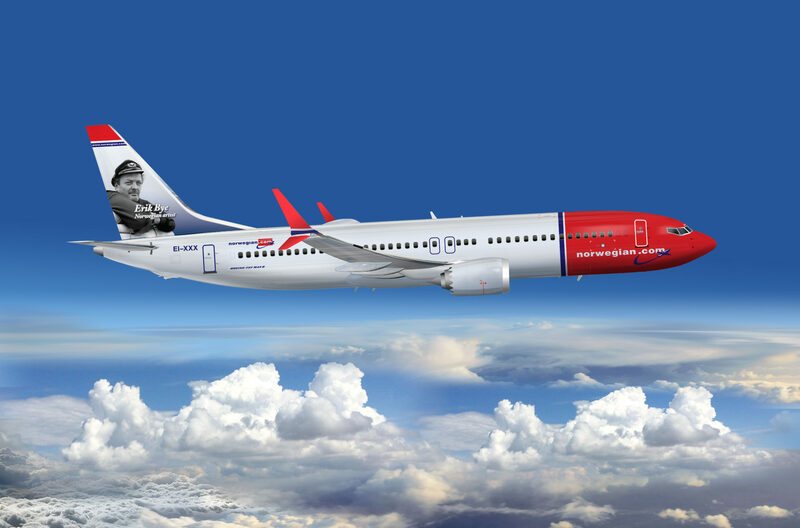 Click here to learn more about Norwegian Air. Now I may date myself when I say this, but I remember when you could go to the movies with just a crisp $5 bill in your pocket. Nowadays, that will barely put a dent in covering your jumbo-sized Coke or equally large bag of popcorn. That being said, there are a couple of hacks that can keep you and your family on the straight and narrow when it comes to saving at the movies. We’ve collected these tips into one list so that you can not only save money this March Break, but continue to save even after the kiddies are back at school. 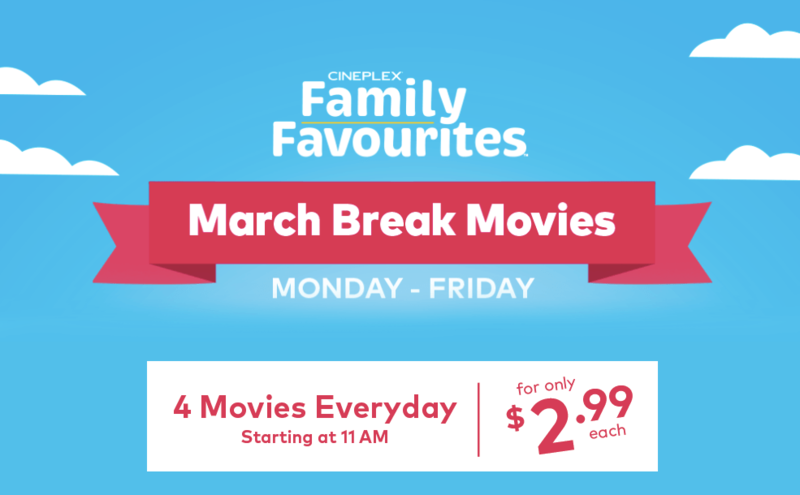 The first and probably best deal that you should cash-in on is the one from Cineplex Canada, where they are offering March Break movies from Monday through to Friday (dates will vary depending on your region) for just $2.99. 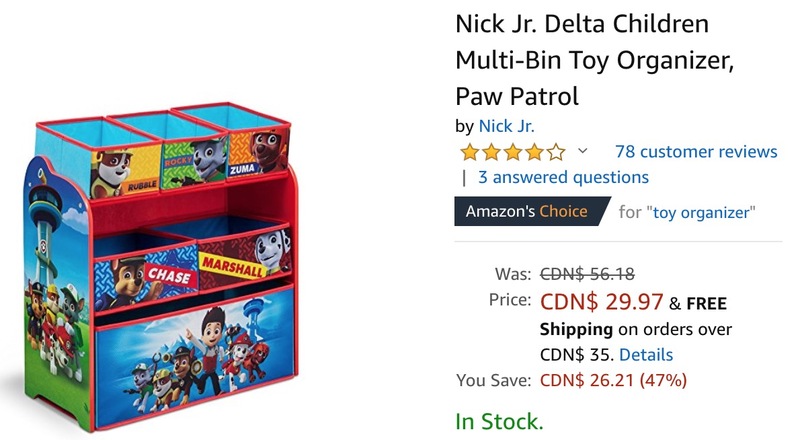 This is the same awesome price that they offer their Family Favourites movies for each Saturday morning, which you can continue to take advantage of even after March Break! This one isn’t necessarily a ‘hack’ but more of a throwing your name in the hat for a chance to win free movies for an entire year. Virgin Mobile is offering this contest for members through till January 27, 2019 and they will be drawing a new name to announce a new winner each week. 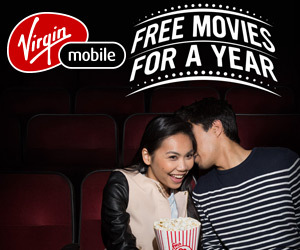 Your chances are pretty slim, but hey, it’s free movies so it’s worth a shot at least? If you’re a CAA member and you live in Manitoba, then this offer can snag your two FREE movie vouchers when you refer a friend to CAA. This offer is only valid in some provinces throughout Canada, but if you’re in Manitoba then you can refer a friend either by presenting the coupon in-person, online or over the phone. Not a bad deal for gaining two free movies, arguably valued at $20 or more! 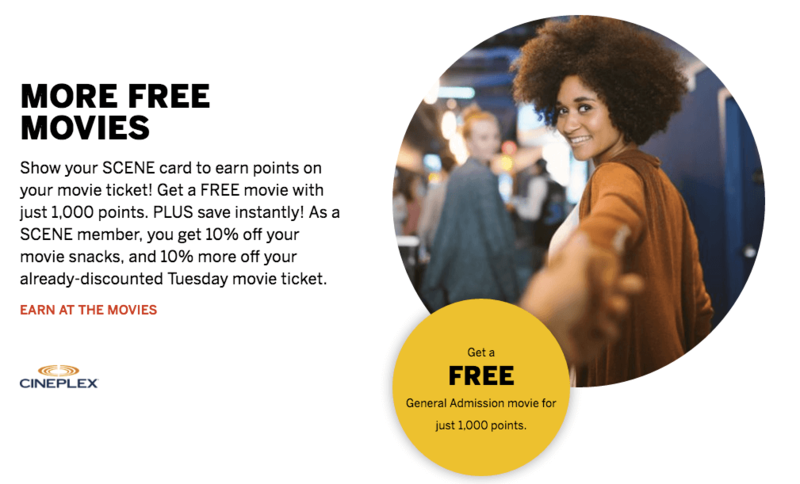 The SCENE Rewards program is one of the more consistent hacks to save on going to the movies, as it will save you 10% off on already-discounted cheap Tuesday movies plus 10% off on movie snacks. And with each movie purchase you make with your SCENE card, you’ll be that much closer to receiving a FREE movie, as you only need to collect 1,000 SCENE points. Members who are also Scotiabank members can even stand to save and earn a little more, as the Scotiabank SCENE Debit Card allows cardholders to actually earn SCENE points on debit purchases. The same applies for the SCENE Visa Card and with both cards you’ll receive a registering bonus of 5,000 points for the debit card and 4,000 points for the Visa card. Click here to see what movies are playing at Cineplex Canada. 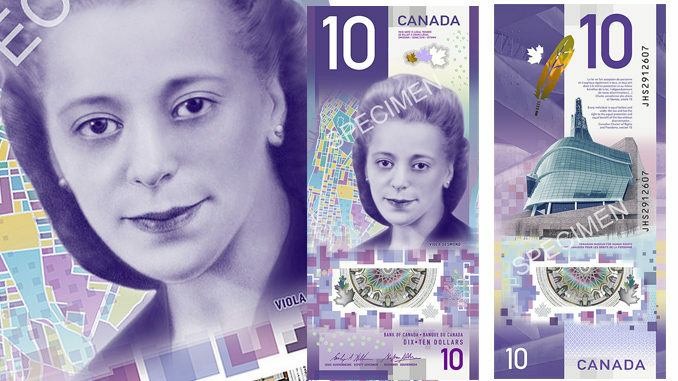 Viola Desmond may not have been given her fair claim to fame when she was living, but she will now be forever cemented as not only being the first non-royal woman to be featured prominently on a piece of regularly circulating Canadian currency, but also the first African-Canadian woman to be featured on a Canadian bill. The new $10 bill was unveiled with Desmond’s portrait in Halifax, Nova Scotia on March 8, which was, fittingly, also International Women’s Day. 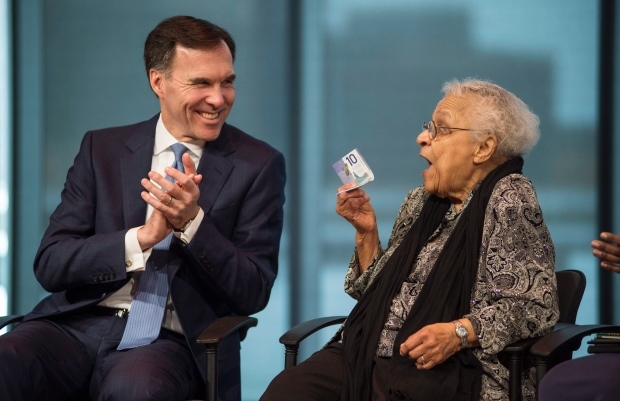 Bill Morneau, the finance minister, presented the then unseen $10 note to Desmond’s sister, Wanda Robson, who went on to thank the artist behind her sister’s currency recreation for capturing a “beautiful” and “unique” bank note. Desmond’s contribution to Canada’s civil rights movement deserves more recognition than she has historically been treated with, and this bill marks a step in correcting that wrong. She began her activism in the 1940s, most notably when she refused to leave the whites-only section of a movie theatre in Nova Scotia. This landmark event would occur nearly ten years before Rosa Parks would refuse to leave the whites-only section of a bus in Alabama, though Desmond has received much less recognition for her act of bravery than her southern counterpart. You can expect to see the bill in regular circulation in late 2018. 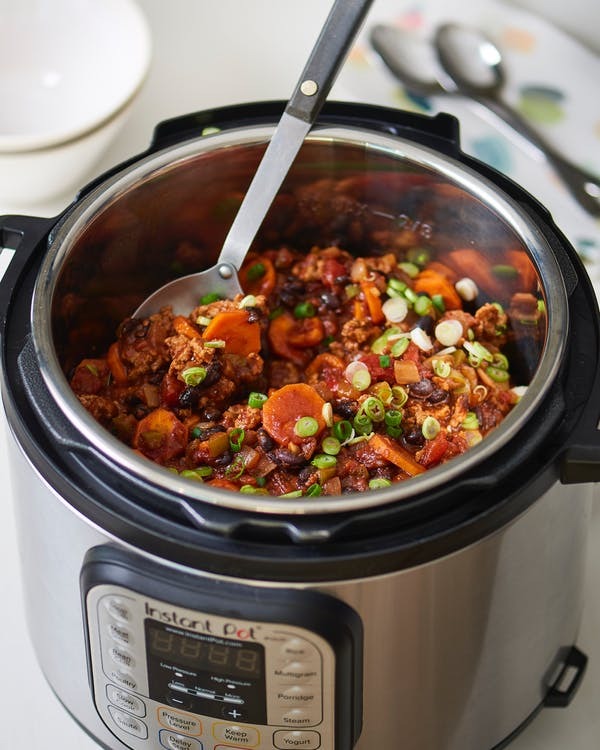 Cherished for its ability to speed up cooking by 2-10 times, while also using 70% less energy than traditional pressure cookers, the Instant Pot is coming under some unwanted external heat after reports surfaced that some of their customers were experiencing overheating and, in some cases, melting of their products. The Canadian cooking appliance company has since asked that the affected model, the Gem 65 8-in-1 multi cookers, stop being used by their customers after learning that some of these cookers were actually melting on the underside of the product due to extreme overheating. You can find the batchcode for your Instant Pot by first finding the four-digit product code that is underneath the label of the product. It should also be heavily emphasized that this is not a product recall, but rather an advisory from the company to stop using the product any further. “We want you to know that we take any problem with our products extremely seriously as safety and quality are our primary concern, and we are working cooperatively with the U.S. Consumer Product Safety Commission,” the company said. More information on the status of the Instant Pot’s that are affected by this advisory is expected to come out in the next few weeks, the statement on their website continued. This will also include updates about whether or not customers will receive a replacement or will be required to recall the item. Click here to read more of the Instant Pot statement.